Friday 23 and Saturday, June 24, 2017, Pergola will show itself in a way surprisingly different. its historic cellars, its churches will open at digital arts with installations and live performances at the first edition of Blooming Festival. technological creative process as a boundless garden in full bloom. NONE, Quiet Ensemble, Andrea Familari Fax, Ariemar, Ultravioletto are some of the artists called to transform historical environments and sacred spaces of the city (Palazzo Bruschi cellar, Winery of Palazzo Giannini, Cantina di Palazzo Guazzugli Buonaiuti, cellar of the Oreficeria Oradei, Cellar of Librarella Guidarelli, Cantina Massaioli. Private Chapel of the Palace Giannini, Church of Casa Godio, San Rocco, Santa Maria di Piazza, Sant’Orsola, Santa Maria of the Colors). 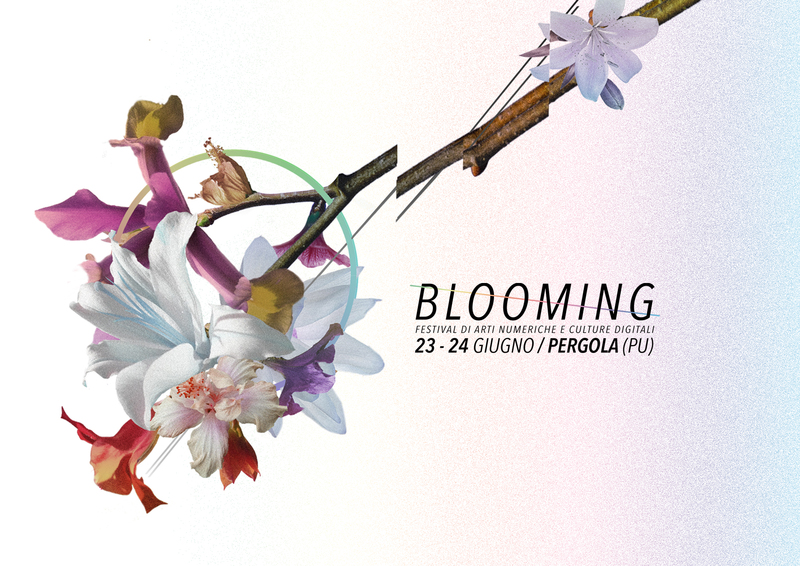 Blooming is a widespread festival throughout Pergola’s historic center. For two days the city will become a creative digital arts hub, a new one fluis and dynamic experience in which the public can interact with places, works and with the artists. The focal point of the festival will be Palazzo Bruschi, which will host its own inner courtyard aperitifs, music, tasting of local products, video-making and djset, and will be the point meeting for artists and festival visitors from the opening until late at night. The Officina Giovani spaces, a territorial network for creativity, during the two afternoons of Festivals will host two auditorium auditoriums dedicated to sound experimentation musical, circuit Bending by Vincenzo Pedata (Ariemar) and Play the world by Bruno Capezzuoli (Ultravioletto). The themes discussed intend to bring the viewers closer to the world of digital art, allowing you to experiment with the creation of sounds firsthand through the manipulation of electronic devices and sensors. The Foro Valerio, for a long time used as a fishing and market and now closed, will host the Performance of Bosca, Macchine Nostre and Otolab in the evening of Friday, June 23. On Saturday, June 24, starting at 5:00 pm, a Walkabout will take place, an exploration participated in the installation of the festival, conducted with whisper-radio systems by Carlo Infante – Urban Experience. In order to encourage the participation of the artists, we launched the call Blooming You, which makes the Casa Godio church available for installation or live performance. The DSLAK (IT) Meristema installation is the project selected by the Scientific Committee of Festival, composed by Federica Patti, Daniele Spanò, Gianluca el Gobbo PM, Bernardo Vercelli and Fabio Di Salvo (Quiet Ensemble).